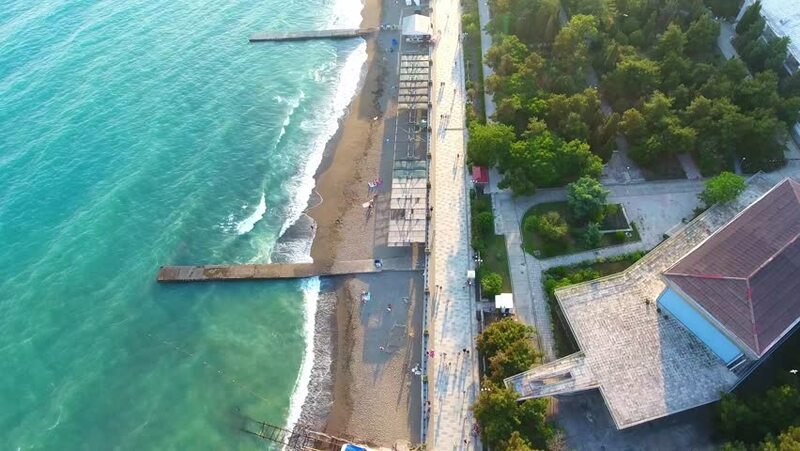 Drone fly alley along beach, small storm is not expected cloudy, pier to Black Sea Coastline Resort Town cityscape Sudak of town, Crimea. 4k00:16Aerial view Drone fly alley along beach, small storm is not expected cloudy, pier to Black Sea. Waterfront Stretches Across Coastline Resort Town cityscape Sudak of town, Crimea. 4k00:23Jacuzzi in the garden for relaxation in a stylish interior with ceramic tiles.